Gazprom has picked up a controlling stake in Serbia’s state-owned oil monopoly – NIS – as part of an energy cooperation deal between the two countries. Serbian President, Boris Tadic, came to Moscow to put his signature on a multi-million dollar energy deal with Russia. The signature came after haggling in the Serbian government delayed ratification of an agreement reached in January, with Tadic hailing its significance for the Balkan nation. Under the deal, Gazprom gets a controlling stake in Serbia’s oil company NIS for $560 million. In return the Russian energy giant has committed to routing its South Stream pipeline through Serbia, as well as investing in a gas storage facility, according to deputy CEO, Aleksandr Medvedev. Some experts doubt the need for Gazprom to buy NIS, especially when the company is seeking financial support from the government. But Dmitry Aleksandrov of Financial Bridge says it’s a strategic decision. Some state officials in Belgrade have urged Gazprom to provide a guarantee that it will route its pipeline through Serbia. But analysts say there is no ground for doubt. 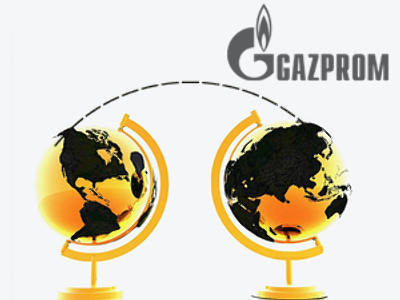 Gazprom’s transportation projects look ahead 10 to 15 years and solve its main dilemma – unreliable transit countries.